Since driverless cars represent a strategic evolution for the future of carmakers, all major car manufacturers are currently striking deals with tech companies. However, the most urgent need for establishing a sustainable future in the global personal transportation market will be to drastically reduce road traffic to a manageable level, which will not necessarily be achieved by selling more driverless cars. Should they not completely change the carmakers core business? GOVOIT is a newly-invented ride-sharing platform technology that would allow car manufacturers to take advantage of this fast-growing global niche market and face-up to competition from GAFA and telcos. Driverless car technology is a revolution not only for motorists but for carmakers too. At the user level, driverless technology alters the emotional relationship between the owner and his car, which becomes a passive toy. By replacing the image of the car as a status symbol with that of a utility tool, driverless technology erases a marketing strategy that car manufacturers typically choose to exploit. Because of the lack of infrastructure and public transport to satisfy the needs of the urban and suburban commuter population, private cars tend to be the only way to get to work. As a result, traffic congestion is ever-increasing in cities. In many of them, the situation becomes so critical in economic and environmental terms, that it is compulsory for the authorities to introduce solutions capable of rapidly reducing the number of cars on the road at peak hours. Is ride-sharing becoming the new business of car manufacturers? 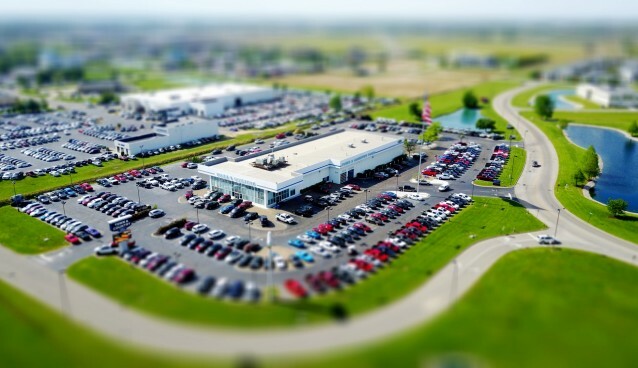 For this reason, it has become apparent that the number of cars being sold in industrialised countries is reaching a peak, and that sales will not continue to grow into the future. To deal with this situation, car makers are looking for new revenues that will offset the anticipated decline in sales. Due to its direct relationship with car use and because ride-sharing for commuters is undoubtedly the most important market segment, all car manufacturers are now trying to get into the ride-sharing market. However, if ride-sharing is a good solution to increase car occupancy rates, it is not enough to simply introduce a ride-sharing feature in a car without binding it to a ride-sharing service that is truly capable of increasing car occupancy rates so as to impact positively on the amount of cars on the road. Many companies are currently competing in the ride-sharing space but no companies currently own or use technology that adequately and effectively addresses the commuters’ needs. For this reason, commuters do not feel obliged to change their habits, and as a result, everyday road traffic continues to increase. By offering a door-to-door multi-leg ride-sharing real-time app proposing combinations of rides via a seamless connection, GOVOIT solves the difficulties of the first and the last mile of a ride, the first criteria at the moment of choosing the means, or combination of means of transport to make a journey. GOVOIT matches all voluntary member drivers’ availability, with member passengers’ requirements on a live platform. This is made in real time, which is essential in addressing commuters’ needs as their travel distance is predominantly short. GOVOIT offers a multi-leg ride-sharing service because commuters’ rides cannot be completed, from their starting point to their finishing point, by only using a single car. GOVOIT has been custom-designed by BILLOO DEVELOPMENT to dramatically increase average car occupancy rates in order to impact strongly on road traffic congestion, especially during peak hours, even if this means that just a small proportion of commuters actually changes their habits. GOVOIT is a patented proprietary software that takes into account the commuters’ needs to travel at the absolutely lowest cost. As at today’s date, we are not aware of any competing technology platforms offering the same or a similar technology in the ride-sharing sector even if new ride-sharing solutions are launched every day onto the worldwide market. New technologies such as driverless technology, in-car assistance technology and all other technologies applied to current and future car models, are breaking down the strong emotional bonds between the car owner and his vehicle. The car is now becoming a simple tool to move efficiently on the road. In addition, the increased traffic congestion in all cities around the world, is impacting on car production in industrialised countries. Carmakers need to find new revenues arising out of the ride-share market. However, if it is to be of interest to users, ride-sharing needs to be adapted to users’ requirements. GOVOIT is a door-to-door multi-leg ride-sharing real-time app proposing combinations of rides via a seamless connection, and has thereby removed the main obstacle to carpooling. GOVOIT can be a good partner for car manufacturers looking to take advantage of the fast-growing ride-sharing global niche.